How to Stop Poker Tilt? To stop tilt, we first need to define what it is. And then make adjustments to counter it, just like when playing poker. Check here to know what is tilt. Tilt does not have to necessarily mean being too aggressive, playing too passively is a form of tilt as well. 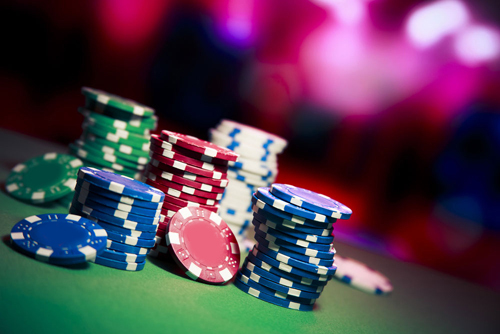 Tilt means any departure from your optimal play, and avoiding it – or at least recognizing it and correcting it – is vital to the health of your bankroll. Bad beats – Bad beats happen to everyone; such is the nature of the game. Extreme bad beats, or suffering three or four tough losses in a row, is enough to tilt many players. Chasing losses – Most players hate to leave a game a loser, but beware the sunken-cost fallacy: The cards themselves have no memory; just because you’ve lost the last few tough hands doesn’t mean that the next one will automatically be a winner. Letting it ride – While many poker players believe in the concept of “playing a heater”, continuing to play just because you’re ahead and have “free money” to play with is a classic sign of tilt. Not all good games stay that way. Play earlier in the day. I find that my brain is at its peak a few hours after I have woken up. I play my best poker during this time and hence make less mistakes. I find that when I am playing long hours my brain becomes fatigued and I am more prone to make brain farts/mistakes. Regular breaks help stop this, but humans are not designed to be sitting in front of a PC for 12 hours a day, concentrating at maximum level, playing multiple tables. A pot is multi-way when three or more players are involved in the hand. This is not a spot where semi-bluffing is likely to win the pot right away. For valuable information on semi-bluffing in multi-way pots continue to building a pot in holdem. When the pot involves three or less players it is shorthanded. Pots are usually small so do not risk to much here. You should semi-bluff when you can win the pot right away by forcing your opponent(s) to fold. Also if a bet should be called in order to draw then it is better to bet. For example, if you suspect an opponent has a marginal hand and is going to bet if you check, then you should bet. Put the pressure on that player not yourself. This will give you the chance to win the pot if the other player does not improve. Even if you haven’t either by following through with a total bluff on the river. This of course should not be attempted if you suspect the player holds strong hand in a shorthanded pot. In this and other situations where a semi-bluff is not possible or profitable. Because another player has already bet, and the free card play is not an option. It may be better to just fold some draws. Especially if out of position and the pot is small. See the odds section for more details on deciding when to continue with a draw. A semi-bluff should also not be used heads up against a loose-passive player unless the draw is strong enough or the odds dictate otherwise.